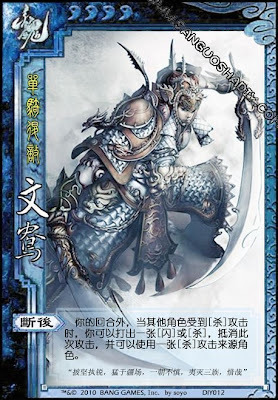 Outside of his turn when other players are under attack, Wen Yan can use an attack or escape to stop that attack. Then he can attack the source of the attack. Wen Yang cannot protect himself with "Rear Guard".